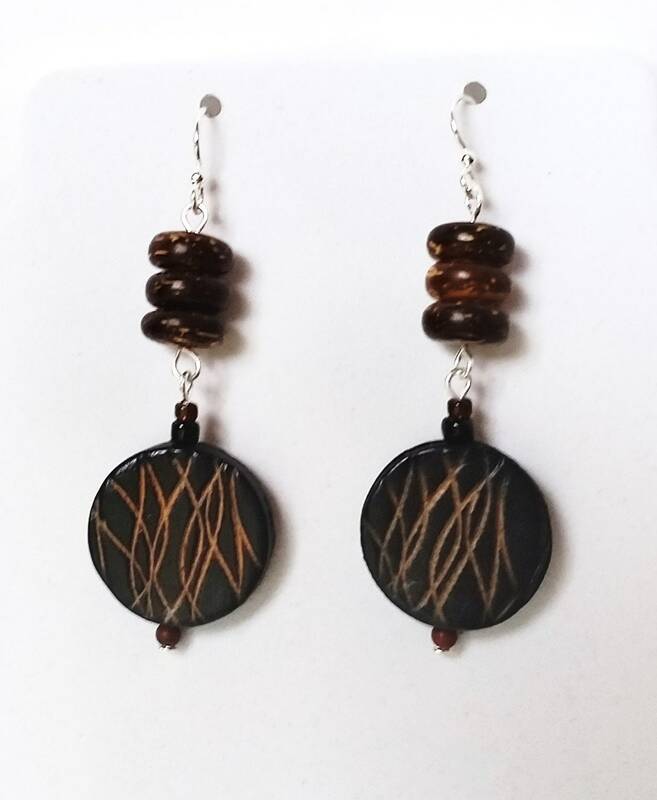 Etched mocha colored leather drop earrings with sterling silver ear wires have the coin-shaped leather drop on the bottom. It is between a quarter and a nickel in diameter size, with wavy etched lines of lighter brown. 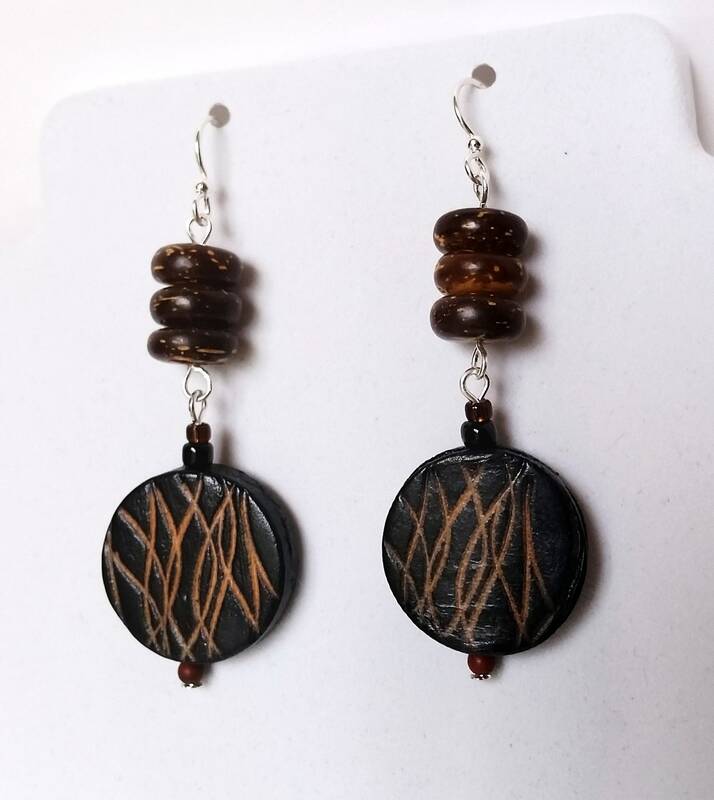 The drop above the leather "coin" has 3 pancake shaped wood beads approx. 0.38 inches in diameter. The total drop length is approx. 2.1 inches.